TRAP DESCRIPTION: 15" Wide x 22" Tall x 48" Long. 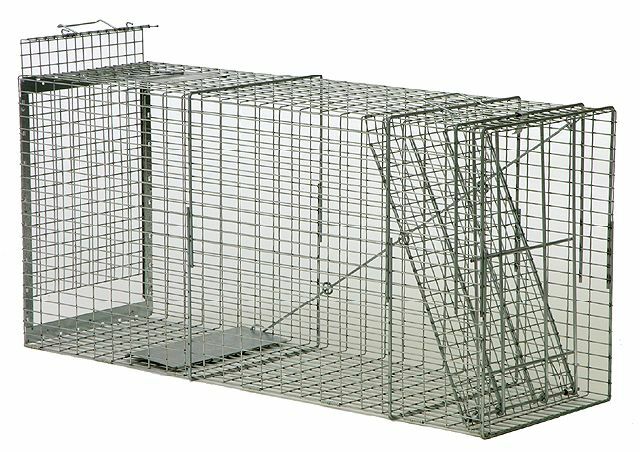 This trap is much like the LT152248 except it has a rear sliding door which enables you to release or transport trapped animals easily. This feature also comes in handy for baiting the trap and when targeting coyote, bobcat or fox, to enable the use of the LIVE BAIT CAGE. This is a great trap for animals which are long. It has an easy to set hook design which holds open the spring loaded door. There is a locking device which will prevent the door from opening once it closes. This is important when dealing with large and strong animals which have the ability to roll a trap over. 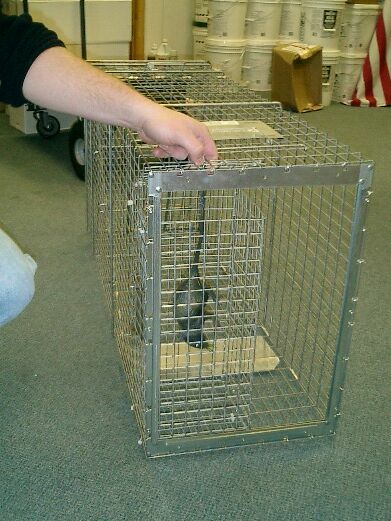 Once the door on this trap closes, the animal is caught for good. Works well. Raccoon bent trip rod. Had to reinstall. Tough cage. Ordered a 48 inch Coyote trap. Very nice trap and good quality construction. Great service and fast delivery to Colorado. Very happy with service.